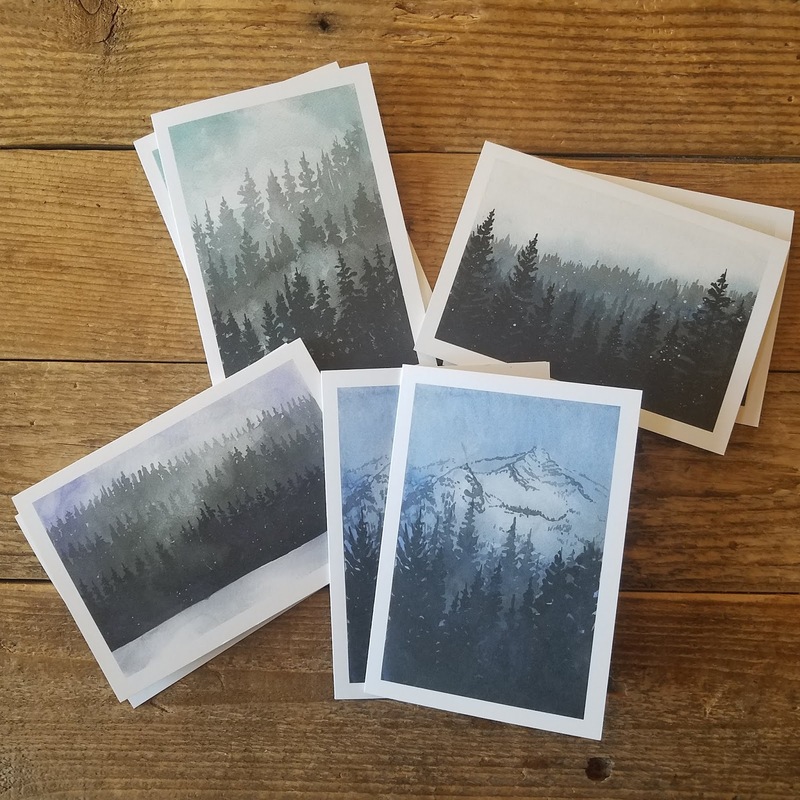 My 2019 Calendars and card packs are now available! Head on over to my shop to get yours now. 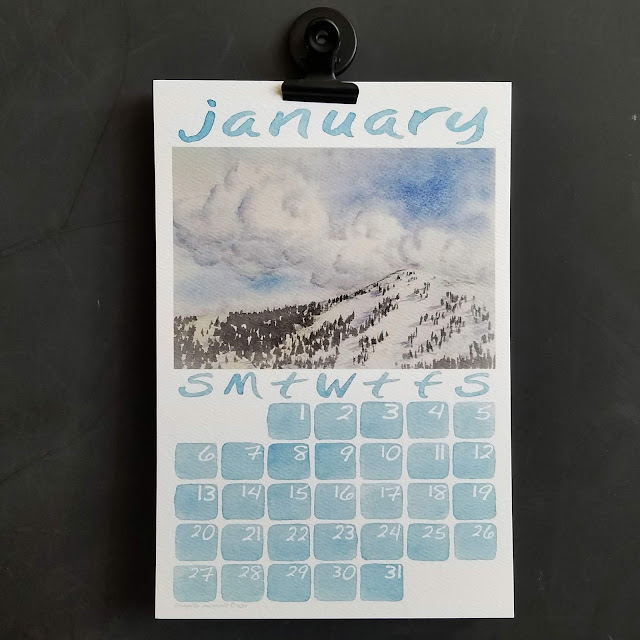 The calendars are updates on last year's design featuring brand new watercolors from my 100 Days of Watercolors clouds. Printed on heavy watercolor style paper, you can hang frame these beauties later or use the paper to paint on. The card packs include 4 different designs of a few of my favorite watercolor studies from this last year. 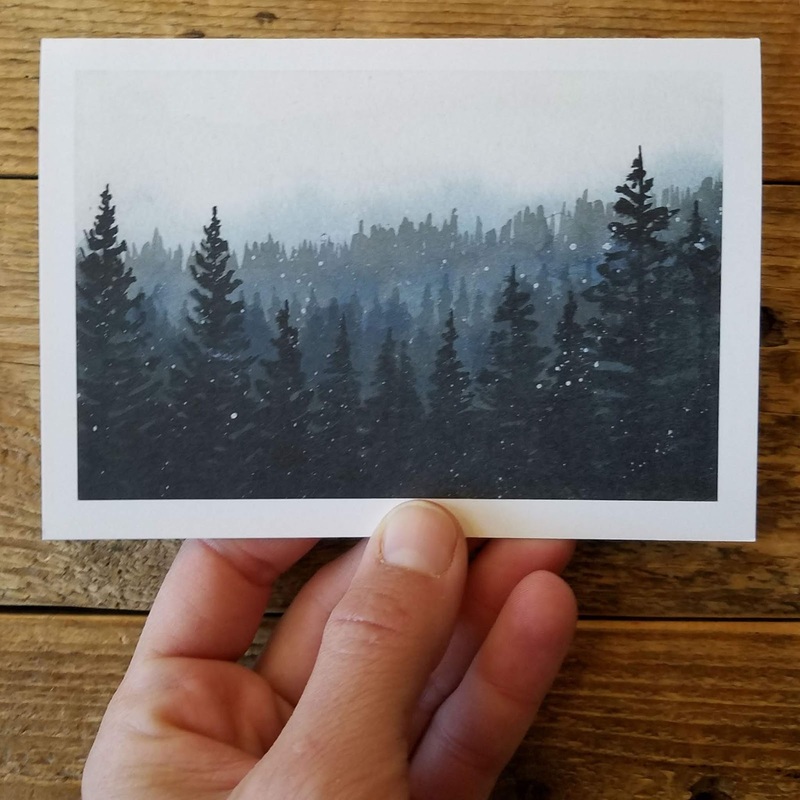 All the cards are printed on 100% recycled paper too.